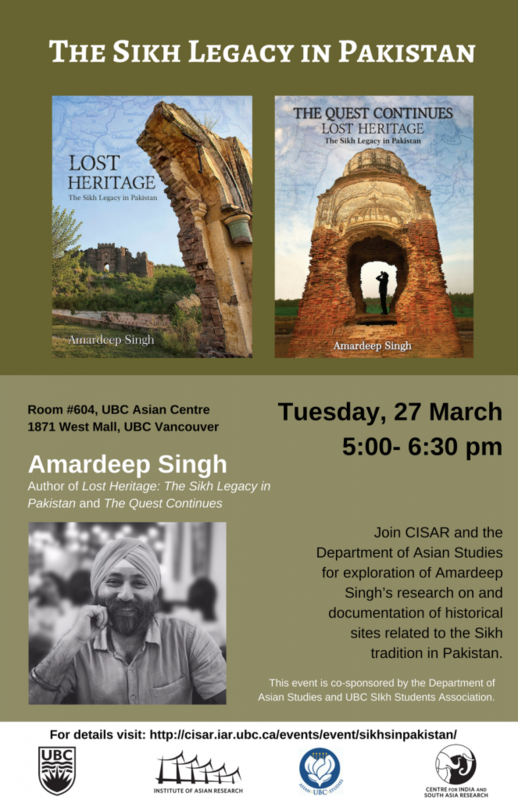 Join CISAR and the Department of Asian Studies for exploration of Amardeep Singh’s research on and documentation of historical sites related to the Sikh tradition in Pakistan. Amardeep Singh is the author of Lost Heritage: The Sikh Legacy in Pakistan and The Quest Continues. This event is co-sponsored by Department of Asian Studies and UBC Sikh Students Association.